When considering and confronting the problem of evil, we may be asking the wrong question: Why is there evil in the world if God is good and powerful? It may be wrong because it smuggles in an unbiblical premise: God can and should use his coercive power to relieve suffering since he is both good and able. But what if coercive power does not work to accomplish God's goals? This book is an investigation into the possibility that the noncoercive power of the Cross must be at the center of this issue, and that the Cross could reform this question. We could ask, instead, How is God destroying evil and suffering--and why is he taking so long? The answer to this reframed question might be: He is using evil and suffering to destroy evil and suffering for His People; this is how long it takes. While not a solution to the problem of evil, could this help us learn to delight in God in a world in which evil and suffering seem at times so relentless? 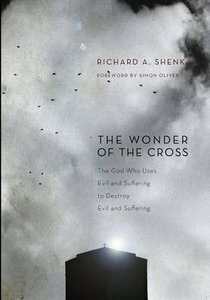 About "The Wonder of the Cross"